Home » Blog » Buying Advice » Help to Save Scheme: How Will It Help First-Time Buyers? The Help to Save scheme launched on September 12th after an eight-month pilot initiative saw 45,000 individuals save a total of £3 million. Originally announced in March 2016, the new government saving scheme seeks to encourage those on a low income to save and rewards them with bonuses. But how can the Help to Save scheme help first-time property buyers? 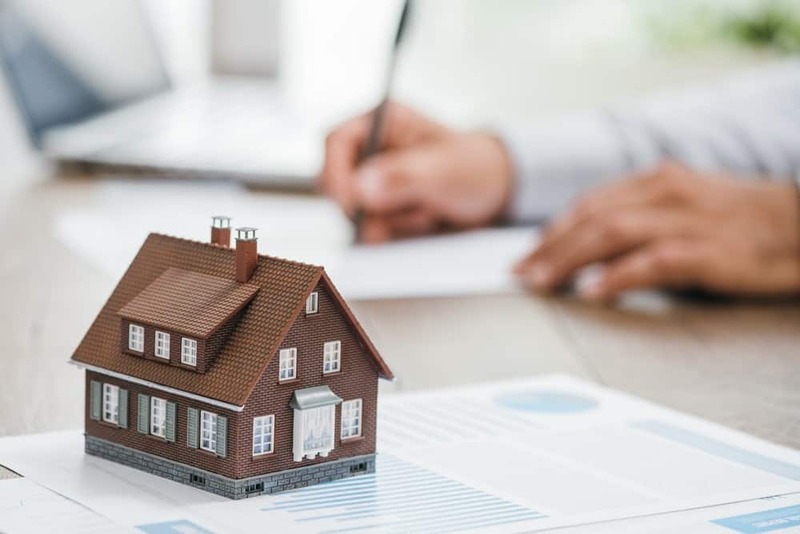 In this blog, we look at what the scheme is, who’s eligible to apply, how it can help first-time homebuyers and what other government schemes can help you get on the property ladder. The scheme offers savers 50p for every £1 saved over a four-year period. You can apply for a Help to Save account if you’re receiving Working Tax Credit or Child Tax Credit payments, or claiming Universal Credit with a minimum monthly income of £542.88. You can pay into your account as many times as you like, but the most you pay in each calendar month is £50. With a Help to Save account, you’ll receive tax-free bonus payments at the end of the second and fourth years. The two-year bonus is paid on the highest amount you had in your account during the two years before any withdrawals. For example, if you managed to save £1,000 but withdrew £200 of it within the two years, you’d still receive a £500 bonus. The final bonus after four years is worked out by deducting your highest balance during the first two years from your highest balance in the final two years. For example, if your highest balance was £1,000 in the first two years you’ll get an initial bonus of £500, and if you keep your account open for a further two years with a highest balance of £1,500, you’ll get another £250 bonus. You can only withdraw money from your account to your bank account and after four years, your account will be closed. You cannot reopen it or open another account. A Help to Save account will be right for you if you can afford regular payments without negatively affecting your living standards. How will the Help to Save scheme help first-time buyers? The average first-time buyer puts down a 20% deposit on their first home, which could mean having to find a daunting £20,000 or more. Despite the supply of 90% mortgages increasing, it still takes the average buyer several years to build up the deposit they need to get onto the property ladder. When it comes to building up a deposit, regular saving is more effective than relying on one-off sums. With a Help to Save account, those with a low income are encouraged to save money and are rewarded with bonus payments. They don’t have to pay in to the account every month and it’s not locked away, so they can make emergency withdrawals if they need to. How will an account affect my benefit payments? If you’re claiming Working Tax Credit, your Help to Save account will not affect your benefit payments. If you’re on Universal Credit or claiming Housing Benefit, the savings will not affect your benefit payments unless the money in your account goes over £6,000 when combined with other savings. Where will my money be held? Your Help to Save account will be held with National Savings & Investments (NS&I) and you can manage your savings online. Applications for the Help to Save account are assessed by HM Revenue & Customs and all deposits with NS&I are fully backed by the government. Will it affect my credit score? Having savings helps you to avoid financial issues, which will have a positive impact on your credit score overall. If you don’t have a savings buffer, you may struggle with unexpected expenses which could result in late or missed payments, which would then negatively affect your credit rating. What if I have debts? Having debts does not disqualify you from opening an account. However, if you do have debts, particularly debts like Council Tax arrears, you should consider paying these off before opening a savings account. Those with a small deposit could benefit from the Help to Buy scheme. This scheme offers an equity loan where the government lends first-time buyers and existing homeowners money to buy a newly-built home. The government will lend up to 20% of the property value, but you will have to find a 5% deposit and secure a mortgage to cover the other 75% of the cost. The purchase price must be no more than £600,000. The Right to Buy scheme helps eligible council and housing association tenants buy their home with a discount of up to £108,000. Tenants must have rented from the public sector (i.e. the local council or housing association) for three years before they can buy and the property must be their only or main home. The Starter Homes scheme is a new government plan, where 200,000 new build homes are available to first-time buyers under 40 years old, with at least 20% off the market price. The discounted price for these homes should be priced no more than £250,000 outside London and £450,000 in London. However, buyers are not able to sell on their new build home at full market value until 15 years after purchase. The key to saving for your deposit is to make the most of every penny you save. With a Help to Save account, those on a low income are encouraged to save up to £2,400 over four years, while earning £1,200 in bonus money towards a deposit on their new home. You can apply for a Help to Save account online through the Government Gateway. If you’re a homeowner looking to sell your property quickly, contact our experienced team at Good Move, who will be happy to help.